We really enjoyed our stay, the atmosphere in this hostel is great, it's clean and the location is really good. But the biggest advantage of this hostel are the people, the staff is helpful and friendly and so are the guests we met there. Big thanks to everyone that made our stay this good, we would love to come back one day! Das Hostel ist super! Das Personal ist freundlich und sehr hilfsbereit. Die Mentalität des Hostels ist jedoch, der Name deutet es an, eher ruhig. Ungleich anderen Anbietern, welche den Fokus auf Party legen, ist dieses Hostel an einem ruhigen und zugleich recht zentralen Ort gelegen. Bei Kommunikationsbedarf kommt man schnell mit anderen Gästen in Kontakt. Einkaufsmöglichkeiten sind ebenfalls sehr schnell zu Fuß erreichbar. We had a really good stay at Mandala's. 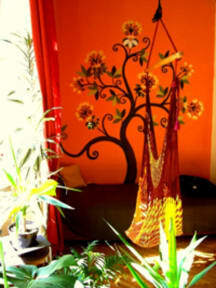 the Hostel has a very nice and chilly atmosphere and the staff ist absolutely friendly and helpful. Maybe not a typical Hostel, but that's why it's good to stay there. I unfortunately had some bedbugs in my bed, was moved to another bed and the problem was gone. 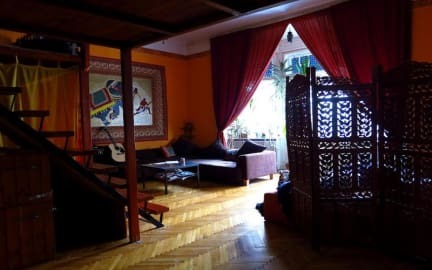 Really clean, cozy hostel with everything you could wish for and lovely staff. But be aware that the hostel is really small (maybe like 16-20 beds). Apart from some long time residents, which formed a rather closed group, during my stay there was hardly anybody there, so it felt a bit lonely. So maybe not the best choice if you would like to get to know some people. Die Matratzen sind extrem hart. Sehr gefallen hat mir der Bücherschrank.